Microsoft reported solid quarterly earnings on Thursday — with the surprise result that its More Personal Computing unit had posted 13% growth over the same period in 2017. That unit encompasses Windows, Xbox, and Surface, all businesses that Wall Street has long considered secondary to the meteoric rise of Microsoft's cloud computing businesses. The results prove that there's life left in these businesses yet, at least partially allaying fears that Microsoft was getting out of consumer technology. A big driver of that growth: Sales of third-party Xbox games. When Microsoft announced its rock-solid quarterly earnings on Thursday, Wall Street analysts were happy to see the continued growth of its cloud computing businesses. But there was a surprise buried in Microsoft's earnings statement. After years of stagnation, the More Personal Computing segment saw a gain of 13% over the same period of 2017, hitting R124 billion in revenue. As a refresher, that segment encompasses the Windows operating system, the Surface hardware business, the Xbox gaming division, and the Bing search engine. With the PC market in steady decline, Sony's PlayStation 4 crushing the Xbox One console in sales, and Google maintaining its dominance over search, the More Personal Computing segment has largely been discarded by Wall Street as secondary, at best, to Microsoft's still fast-growing business cloud services. And yet, there's clearly some kind of life left in the segment, still. These results serve as at least a partial rebuke to the Microsoft fans who worry that the company is poised to kill the Surface and get out of the consumer hardware business entirely. 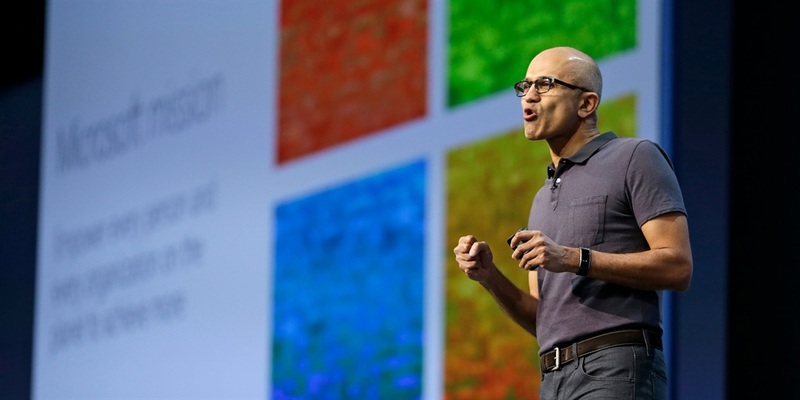 Microsoft itself credits the strength in More Personal Computing to a few different factors. First, most businesses still need PCs, and they're moving to Windows 10 in droves. Microsoft says that revenue from selling Windows 10 Pro licenses to Windows manufacturers was up 11% from the same period in 2017, and that revenue from multi-year Windows 10 service agreements and cloud services was up 21% over the same span. It should be noted, however, that revenue from consumer Windows 10 licenses was down 8%. Second, overall gaming revenue was up 18% over the same period last year, to about R27 billion. Some of that gaming growth is from services, like its Twitch competitor Mixer, or the all-you-can-play subscription service Xbox Game Pass. Mostly, though, Microsoft says that the real driver was Xbox software and services, which was up 24% over the same period in 2017, "mostly on third-party strength." This is especially interesting: A common criticism of the Xbox One is that Microsoft doesn't publish enough titles that are exclusive to the console — giving gamers few reasons to choose it over rivals like the Sony PlayStation 4 and Nintendo Switch. However, Microsoft is saying that games from other publishers are selling well enough to bolster Xbox revenue. Finally, Microsoft says that revenue from its Surface computers was up 32% from the same period of 2017, hitting just shy of R13 billion. That's a good look for Microsoft, after growth in Surface actually stagnated during the all-important holiday quarter last year, reinforcing speculation that the business would be discontinued. There's still one quarter left to go in Microsoft's fiscal year, and it remains to be seen if this growth is a sign of things to come, or just a one-time blip as the company continues to go all-in on cloud. One thing, ultimately, is very clear: With Microsoft's phone business almost fully unwound, the company is at least not being weighed down by that albatross around its neck anymore.